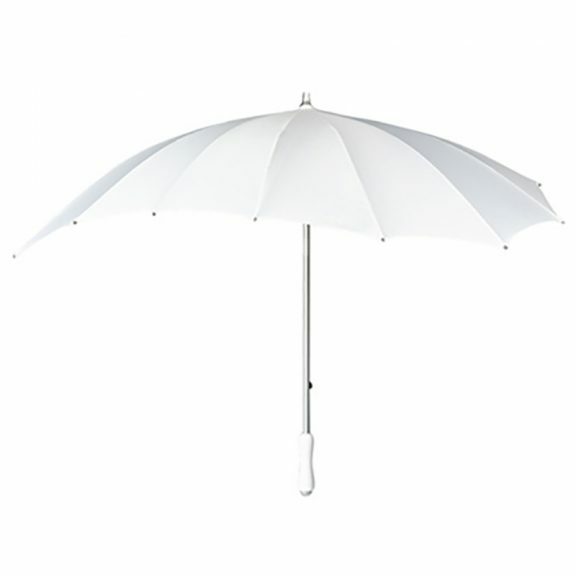 White Heart Umbrella - Umbrellas & More from Umbrella Heaven! These are perfect for weddings, while still totally practical for everyday use. 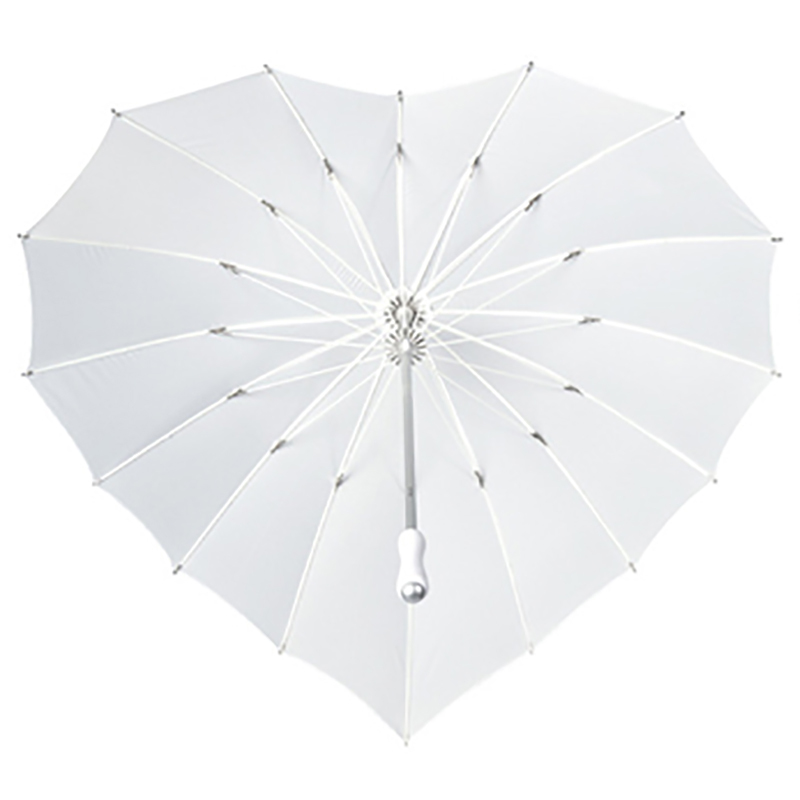 The white heart umbrella is both stylish and windproof. Truly versatile! Introducing the beautiful White Heart umbrella, a quality, truly stylish umbrella? 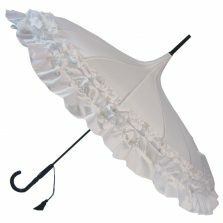 One of our stunning range of fabulous fashion umbrellas, the Heart Umbrella is the latest addition to our exciting, growing umbrella collection. Around 88 cm from end to end, with a light, strong and flexible 16 spoke fibreglass frame and lightweight aluminium shaft. 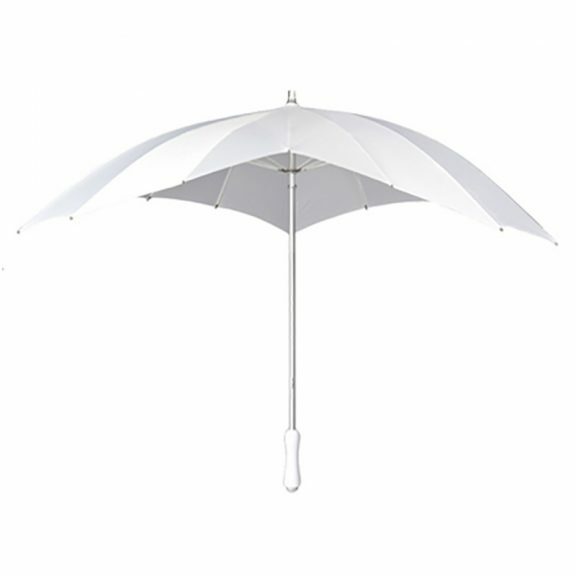 This White Heart Umbrella is very strong and totally windproof. 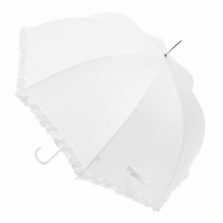 Designed with a smart ergonomic rubber coated handle, colour coordinated with the unique new heart-shaped canopy, the Heart umbrella is also the ideal present for the one you love. A great new look with total style. 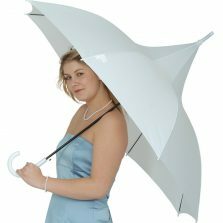 These fashion umbrellas are really taking the world by storm. They look fantastic with virtually any outfit, wherever you are. Also, they make for a totally unique gift. Go ahead – show someone you really care! Other colours available include Purple, Red, Hot-Pink, Black, Soft-Pink & Ivory. The canopy is 100 cm front to back and 110 cm wide. 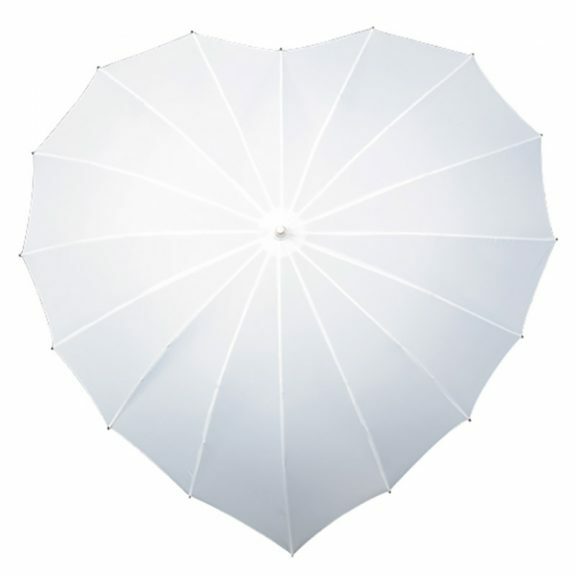 Not a fan of this white heart umbrella? Check out the rest of our range of quality heart umbrellas!